These homeless dogs are here for many reasons: strays, give ups, abused or mom got pregnant and pups born in the shelter. Our rescue tries not to dwell on the tragedies of unwanted pets but we concentrate our efforts on their future in finding good and loving homes. We cannot be sure of their breeds because the majority of them come out of homes where there is no concern about spay & neuter. When taking a dog into our shelter, unless specific information is known on the parentage, we guess as to the breed. PLEASE NOTE: We are not experts. Likewise, the age of the animal, unless specific info is known, is only a guess. As all animals crossing state line need a vet certificate, we rely on the information supplied by the vet. Once again--- a guess only. Our rescue does not put a puppy up for adoption until the age of at least 8 weeks old and has had 2 distemper shots and 1 bordetella. If this is an older dog, they are shot appropriate but might have only had 1 distemper, 1 bordetella and 1 rabies. ALL dogs need to be spayed/neutered. These dogs usually have not had the best medical care so we cannot guarantee their health. We do watch for any illness and treat accordingly. When an animal gets adopted and has a change of environment, if their immune system is not healthy, they can show signs of a few conditions such as Kennel cough and the coccidia virus. Although they are all dewormed, there are many different kinds of worms with different medicines needed and worms can be dormant for two weeks. If an animal shows any symptoms for these conditions after adoption, they are easily treatable but the responsibility of the adopter. WE DO NOT SELL DOGS. 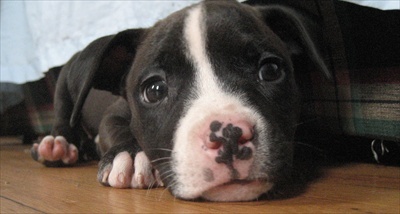 We charge an adoption fee which includes the pull fee given to shelters to reimburse for shots and medical. The fee covers the transportation costs to bring the animals into our shelter. It covers the food, medical and shelter expenses. It covers the cost of spay/neuter if taken to one of the vets we deal with, a microchip with registration and 45 days of insurance, if activated. Adoption is not the answer if you are looking at price. ADOPTION is for those who are interested in helping these poor unwanted creatures find happiness. They offer you 100% unconditional love. Do you have something to offer them?